Okay, so this is a work in progress. So far, I've compiled a list of 18 of what I believe to be the most frightening scenes in horror and science fiction movie history. These are in no particular order. Watch out, this list contains many SPOILERS! Got any to add? 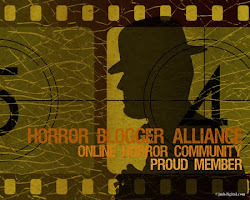 Feel free to comment at the bottom of this page and you may just see your frightening scene make the cut! 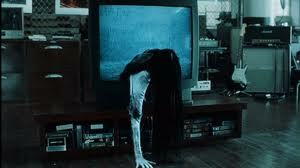 Samara, mangled and unnatural, crawls out of the television set toward Noah. Oh, poor Noah. He gets quite the makeover. The vengeful, screaming ghost pulls Susan under her bed covers. I mean, aren't we meant to be safe under the bed covers? 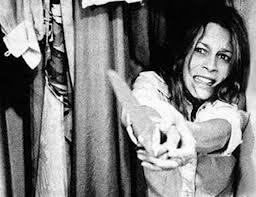 Laurie Strode, played by Jamie Lee Curtis, hides from Michael in the closet. Don't worry, Jamie. You'll live to see a few more sequels. 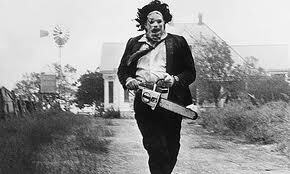 I believe there are a couple of scenes of behemoth Leatherface chasing down his victims but it never fails to give me the chills. The aliens are coming. From above. 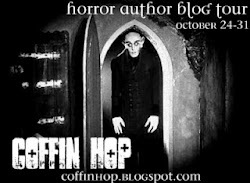 Hicks lifts the ceiling grate and his light stops on the horde throttling toward them. 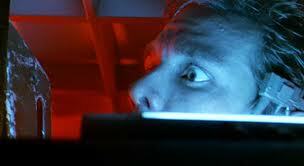 For me, this is one of the best scenes in cinematic horror history. Jamie Lee Curtis' mother gets it bad in the shower. And all she did was look pretty and steal a bunch of money from her boss. Oh, and flirt with a creepy guy who dresses up as his dead mother. Life. Is. Unfair. 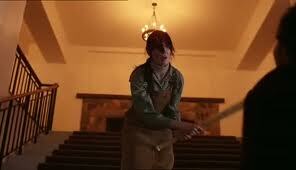 Wendy Torrance weeps and takes weak swings with a baseball bat at her crazed husband, Jack. "I'm not gonna hurt ya. I'm just going to bash your brains in." In the end, she had more fight in her than we all thought. 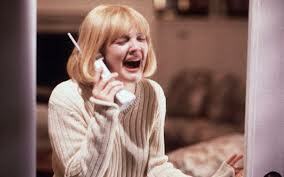 Drew Barrymore makes her film comeback and gets gutted in the opening scene of Scream. "Do you like scary movies?" Yes. Most definitely. An unexpected ending. Christine Brown can't escape her fiery fate and gets pulled into hell wearing her nice new coat. Night swimming=bad idea. In the opening scene of this classic flick, a naked coed does the tango with a very large man-eater. Oh, it's the sweet little girl from next door come to pay us a visit. Wait a sec, she's missing half her face. This opening scene had me locking my doors and steering clear of my neighbors. 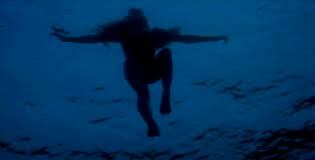 In the ending scene, a television reporter comes face to face with this (see above). The sound of hooves slowly ascending the stairs. Frightening. "Why haven't you checked the children?" 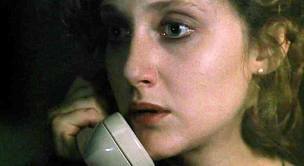 A babysitter phones the police after being harassed by a strange caller, only to find out that the calls are coming from inside the house. In the opening scene (first 20 minutes or so) a darkened stranger smokes a cigarette outside a pregnant woman's sliding glass door. All you can see is the tip of the cigarette as it illuminates with each inhale. What does the stranger want? You don't want to know. 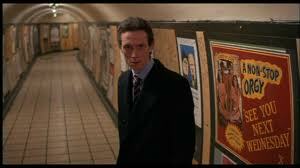 A man gets pursued by a very large werewolf through the London Underground. A young Johnny Depp becomes one of Freddy Krueger's victims and ends up all over the ceiling. This clown scene is the stuff that scars for life. The scene in "It" when the clown finds Eddy in the showers at the school!